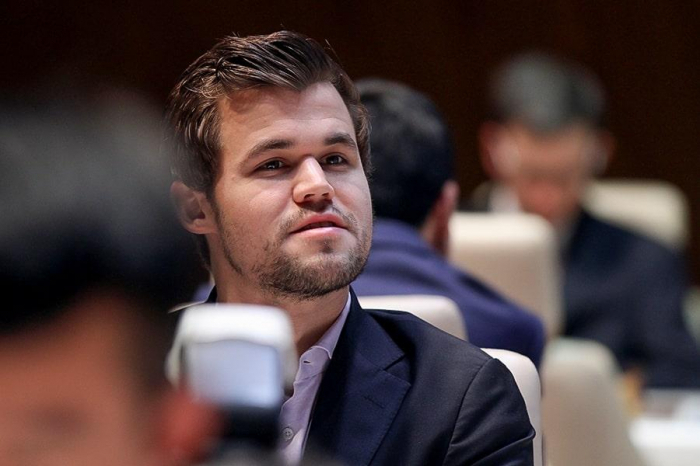 A chess match in the name of peace was held in Azerbaijan’s Shamkir district between five schoolchildren who are members of the Azerbaijani community of the Nagorno-Karabakh region of Azerbaijan and world champion Magnus Carlsen, AzVision.az reports. Before the start of the competition, schoolchildren visited the monument to Azerbaijan’s National Leader Heydar Aliyev in Shamkir and laid flowers. Then the competition began at the Heydar Aliyev Center in Shamkir. After the competition, the children expressed wishes for Carlsen, took pictures with him and took his signature.